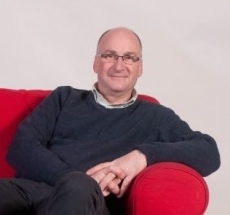 The Diocese of Liverpool has announced that the Rev’d Tim Montgomery, currently Bishop’s Adviser for Mission and Leadership in the Diocese of Carlisle, is to take up the role of Director Transforming Wigan in early February 2015. Rev’d Will Gibbons has been part of a small group of clergy and laity that formed a bid for funding for the project and was involved with shortlisting for the Director role. Will says ‘I am really excited that Tim has been appointed. He will bring energy and enthusiasm backed with the experience of growing churches and coaching leaders. As a church we must commit to praying for this project and for Tim and his family as they prepare for the move to Wigan’. Transforming Wigan is avowedly not about a single new initiative which will sit apart from existing structures. It is about the re-imagination and re-invention of our core stipendiary resource initially in Wigan and then across the wider diocese. To turn around the mission and financial strength in the strategically most vulnerable part of our diocese, enabling it to become a missional powerhouse. To transfer the learning and good practice to other parts of the diocese (and beyond) so that we can continue to build on strength and mitigate weakness. The Diocese of Liverpool website has much more information including the successful bid document submitted to the Church Commissioners.